Preheat oven to 325°. Coat a 10-in. fluted tube pan with cooking spray; dust with flour, tapping out extra. Beat first six ingredients until well blended. In another bowl, whisk together flour, pie spice, baking soda and salt; gradually beat into sugar mixture. Fold in apples and walnuts. Transfer to prepared pan. Bake until a toothpick inserted in center comes out clean, 65-75 minutes. Cool in pan 10 minutes before removing to a wire rack; cool slightly. 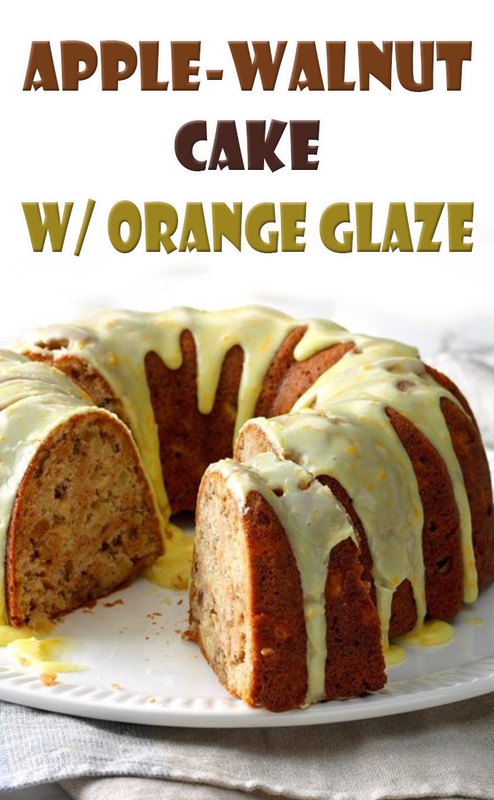 Mix confectioners' sugar, orange zest and enough juice to reach a drizzling consistency. Spoon over warm cake.